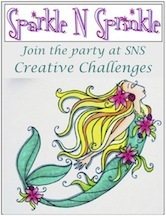 Welcome to the Sparkle N Sprinkle "Not So Macho Masculine Card" Blog Hop! 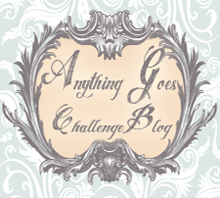 You are in the right spot if you arrived here via the amazing Patti White's Blog. 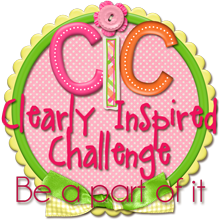 If you'd like to start from the beginning and become eligible for great prizes, then click here (that's where you'll find all the directions you need to hop along). It's really simple: just cut open a brown paper bag and stamp to your heart's content. Add some raffia "ribbon" and a tag. To make the gift tag, simply fold a piece of glossy cardstock in half, place it in a Spellbinders circle die leaving the fold outside of the cutting circle. The result should be a mini circle card. Then stamp and emboss the words in black detail embossing powder on the front of the card/tag. Run the front thru a die cut machine using the Cuttlebug Swiss Dots embossing folder 37-1604 (but put the paper in so the back is facing back--this will "de-boss" the image). Viola! A golf ball gift tag for the present. Here's a close up to see it better. Then I made a card to go along with it. First die cut 4 small circles for golf balls and emboss the letters G,O,L and F from stamp #549-255MS on them before putting them thru the embossing folder. (Hint: ink stamp and then put scotch tape over the part you do not want to show). Remove protective cover from 1/2 of sticker paper, lay ribbon and the golf balls onto sticker paper. (Hint: work on half of the sticker paper). 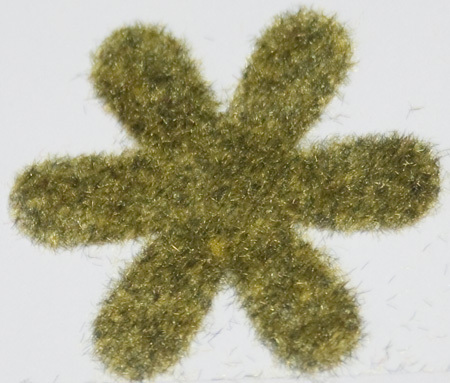 Apply Palm Green Flock (FL115). Make a larger golf ball. Stamp Father's Day #563-255B as above, remove paper from sticker paper. Lay down golf ball and words, then apply flock. Stamp Joe Cool #214-255G, colored him and cut him out. Pop dot him on top of the golf ball. You can see the detailed directions for this card here. We get to donate one product towards the grand prize! and I chose the Palm Green Flock (FL115) which was used on my card. I love to add texture to cards and flocking is a great way to do that. I am so excited to give you a sneak peek of this product as it is not yet for sale, so whoever wins will have this flock before anyone else! Isn't that exciting? 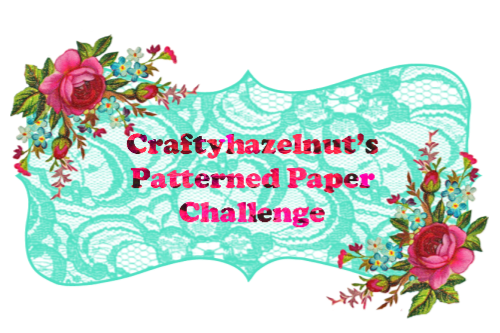 Don't forget to leave a comment to become eligible for the prizes, then hop on over to Julie's blog to see her phenomenal creations. Thanks for hop, hop, hopping by - - and I hope you enjoy the really amazing cards along the rest of the trail. Sandy, I love the whole golf theme of your card and 'wrapping' paper! The dimples in the golf balls, the green flock, the sense of humor (gotta have humor when playing golf!) . . . good luck with your return home! That golf ball tag looks real in the up close picture, Sandy! 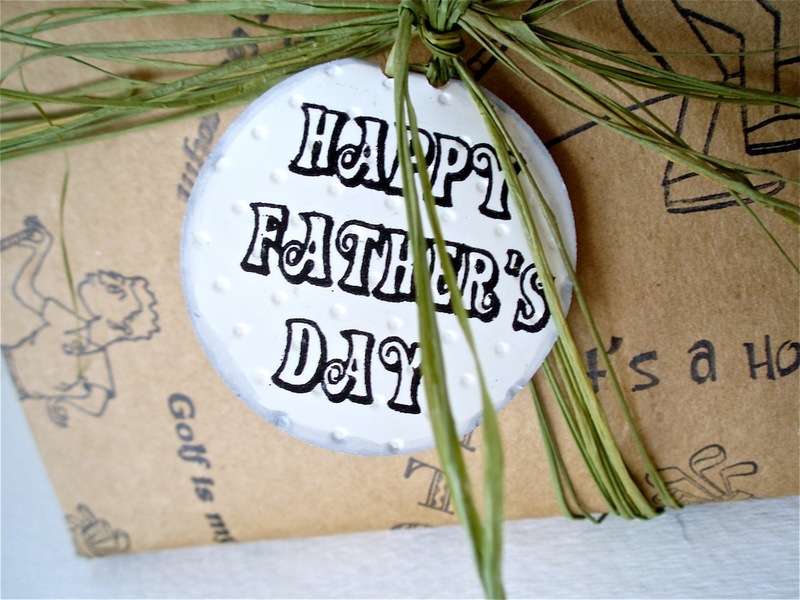 A great idea to recycle grocery bags or plain paper into gift wrap just be stamping theme appropriate images! Great projects! I never thought to gift wrap a card. Great idea. Fabulous thinking with the brown bags! And ooooh! that flocking powder - just the right touch. I LOVE wrapping things in brown paper sacks! We do that a lot here! Your card looks terrific~! And I really like the argyle on the second one. Great job~! 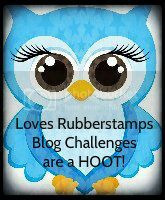 Thanks for making great cards for the blog hop, Sandy! LOVE what you did with the wrapping paper! Very very creative. Plus, the green flocking to make the golf green was awesome! Great job. Sandy, I love the golf ball! and that flocked grassy background is great! Love those golf cards! Great uuse of the flocking! LOVE your cards. Especially the "golfer' card. My husband golfs so this is the perfect card to CASE.....hope you don't mind...lol Great job on the grass, and great prize for the one who wins it! I LOVE LOVE LOVE LOVE LOVE that golf green background. Man you girls are knocking these outta the park!!! I wrapped my Christmas gifts with brown paper bags and raffia one year- I looove that look. You perfected the concept with the drawings and cool label for Dad's day. Brilliant! These are terrific, Sandy! Perfect for the golfers in the family. Love the paper bag and grassy bg. Great job! 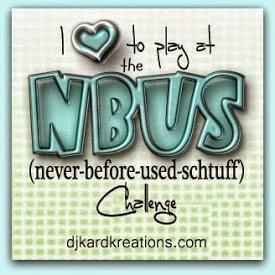 I have several golfers in the family - will definitely be making some golf ball tags! And what a great idea for the brown bag wrap. My 12-year old will love making her own wrapping paper. Wonderful ideas you have used in your artwork. The brown paper bag was one of my most used stamping surfaces when I began my rubber stamping career. 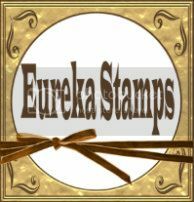 It was free and was readily available in a remote area where stamping supplies were limited. I love what you did with it. Totally fabulous idea of using the brown paper for gift wrap! I love how you tied it all together with string that resembles grass on the greens! Terrific idea! The wrapping paper idea is so classic! Reminds me of childhood Christmases when we made our own wrapping papers. Love the card. Great idea using an embossing folder to make the 'golf balls'!! And that Palm Green flocking makes the perfect background for a golfer's card! Great idea. love the wrapping paper and the cute is great! Very clever way to make the golf balls and using the brown bag for background. Neat looking cards. I love the paper bag gift wrap. Several of the men in my family are wrapping challenged and often resort to paper bags and rubber bands. I can't wait to give them a "taste" of their own technique (with a twist, of course)! Sandy, thanks for sharing. I love your idea of making the "golf ball". It looks really good in the picture. I'm anxious to try it for some of my golfing friends. The flocking also makes a nifty look on the card. I live on a golf course in FL during the winter. 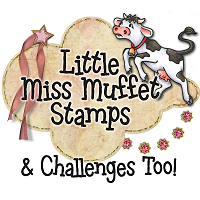 I also teach stamping classes there. 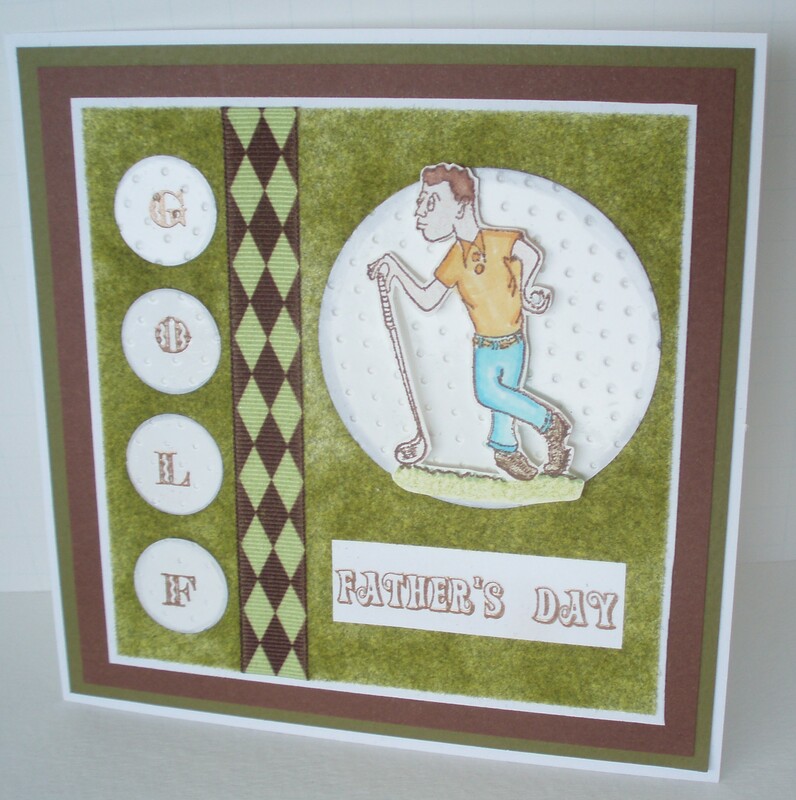 We are always needing men cards and what better than golf. Great card idea! Hey Sis, Long ime no hear!! Love the golf ensemble. Got the old mind thinking. Love the golf ball too. Who would have thunked! Long time no hear! Love your projects - especially the hand-made golf ball! Very neat - I will be copying! Interesting idea for a man's card. I love the raffia making it look like a package. A perfect use of the green flock for the golfing background. So clever to deboss the dimples and make a golf ball tag! Great ideas! That palm green flocking is gorgeous. I like how you incorporated Joe Cool & the really pretty ribbon. How fun! Love your wrapping paper and all those cool golf balls! love the paper bag with golf motif. Great idea! Great cards. The green on the golf course how realistic is that using the flocking. Wowser. Loved your use of the green flock! Thanks for the inspiration! Talking about "Going Green" ....... perfect using the brown shopping bag. I always use them for wrapping packages for mailing, but have never used one for a card. Love the idea of embossing the golf ball with Swiss Dots to make it realistic. Great cards! Debossing to make a golf ball - very clever! Thanks for the ideas and sharing your pretty cards. Love how you made the golf ball using the swiss dots embossing folder! Recycled brown bag wrapping paper??? Now THAT is a great idea! Thanks for the inspiration! I love the idea of using the brown paper bag! My son-in-law - the golfer of the family- would love this card!! I really love your paper wrapping. very clever! I also love the way you embossed the giant golf ball... Beautiful job! REALLY CUTE GOLF THEMES, love the golf ball. I think I need to go look in your archives! I liked your card- the green flocking looks really good. The paper bag/golf tag was a real surprise. Never thought about using bags for cards - am definitely going to try it out. I liked, too, how the tag really looked like a golf ball. Thanks for sharing. Enjoyed the cards and ingenous idea to use the brown paper bags. That wrapping paper is so cool! Great idea. 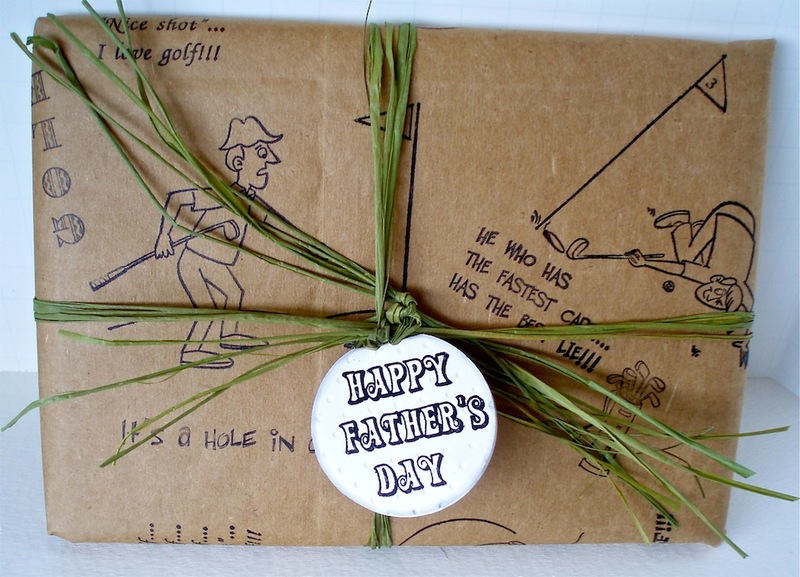 I Love the brown bag gift wrap, and what a clever idea for making the golf ball tag! Love the golf cards and the brown paper bag wrap. Especially the deboss golf ball. I love the idea of decorating a bag. Also, the flocking would be perfect on a card for mowing an over grown lawn! Such a great set Sandy. Love the wrapping idea - great gift tag idea - and "beautiful" (can I say that in a Masculine Hop - LOL) card! Love the ideas, the colors, the techniques - really great collection!! The green flocking certainly makes a green on the golf course look real. I was amazed at how you made the balls really look like real golf balls with the dimples. Great cards! I love your "bag" idea! Love, love, love the gift wrapping idea!!!! So clever. 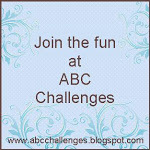 What fun items! We actually use Sunday comics to wrap gifts in our house, but like you, I get most everything in the bag it was purchased in! :) I love that beautiful green flocking, too. I've only just started using it and trying to get the hang of it is hard. I think I need to start on a larger piece, like your background. Thanks for sharing! If he was still alive my Dad would have loved that wrapping paper. Love the golf theme! You could also stamp the top of a plain white gift box to dress it up a bit. Thank you so much for sharing! two perfect little cards for the man in your life, the wrapping & tag idea is so cute, its my favorite!! 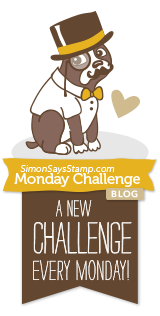 I loved your card, gift wrap and tag idea! great way to tie it all together.